Contemporary research has proven many times that exercise is a favourable way in which to improve our mental health as it assists in reducing stress, anxiety and depression; as well as to improve our cognitive function and increase our self-esteem. But if we were to be dealing with a progressive lung disease that takes away our ability to stay mobile, how can we stay not only physically fit, but find ways in which to keep mentally active as well as staying motivated in doing so? 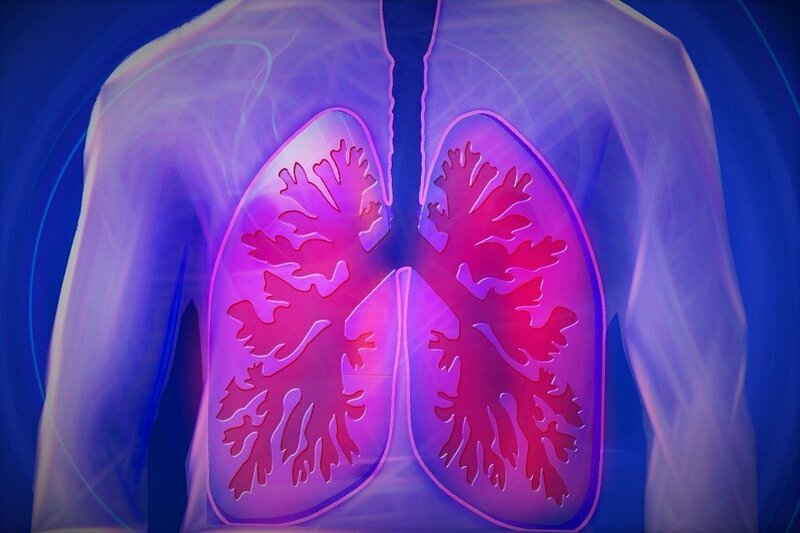 The British Lung Foundation estimates that approximately 10,000 people in the UK are diagnosed with a lung disease each week with 1 in 5 dealing with a long-term respiratory illness, most of which are progressive with irreversible damage and little choice of treatments to improve symptoms or quality of life. It goes without saying that our lungs play a major role within our anatomical process and if the pulmonary system were to depreciate, it would dramatically affect our overall lifestyle. Mobility and strength weakens as oxygen levels deteriorate, lung capacity will decrease which means that shorter and sharper breaths and regular exacerbations or shortness of breath episodes are known to increase the risk of anxiety. Those with a chronic lung illness are known to have a raised risk of regular panic attacks which will be tied to the very fact that they will begin to struggle maintaining their breath when completing simple tasks such as climbing stairs at home and will feel vulnerable as they begin to rely on the need for oxygen therapy to stay mobile. The prognosis and quality of life for those dealing with a progressive lung disease is extremely poor, which in itself will be a big factor when ensuring the person at hand comes to terms with the changes in their lifestyle. Many who were active before now have to face that they will struggle to complete tasks that for many are straightforward. Mental illness plays a vital role on the prognosis of chronic lung disease and those dealing with depressive symptoms are at risk for increased hospital admissions and poorer overall survival. Confusion aggravates the impact of depression as symptoms can be obscured with that of the lung disease itself, such as indifference and fatigue which means that some can be left untreated and spiral into deeper mental illness. By finding ways in which to identify the opportunities for increasing mental health and reducing the symptoms of depression and anxiety, it will give confidence to those facing severe challenges in staying physically active on a day-to-day basis. It is important to assess the risk of depression and anxiety as this will debilitate the person even further in their quality of life. New research has shown that exercise regimes can help those with lung disease by introducing simpler exercise and aerobic tasks to assist in increasing stamina, as well as to cope with the difficult challenge of shortness of breath. Pulmonary rehabilitation was introduced to assist those with decreased pulmonary function particularly after a hospital stay, but thanks to its popularity, it has been widened to those who are diagnosed with chronic lung diseases. While focused on those with Chronic Obstructive Pulmonary Disease or COPD, it is now being adapted to help those with other debilitating lung diseases such as Idiopathic Pulmonary Fibrosis, and not only provides the goal of introducing regular exercise but gives informative talks on medication, improving quality of life and how to deal with the psychological aspect of a progressive illness such as stress, anxiety, and depression. While it can be complex to diagnose mental illness in those with a progressive lung disease, it is important to assess the risk of depression and anxiety as this will debilitate the person even further in their quality of life. However, if a reduction in psychological health is identified there are ways alongside medication and CBT that can improve a person’s symptoms as well as bring overall benefits to the management of the lung disease at hand. Alongside the NHS Pulmonary Rehabilitation scheme, the British Lung Foundation have also introduced weekly exercise classes to allow the benefits of activity be introduced to a wider community and to help confront the difficult task of staying mobile with a chronic lung illness, but to also stay stimulated in day to day life.